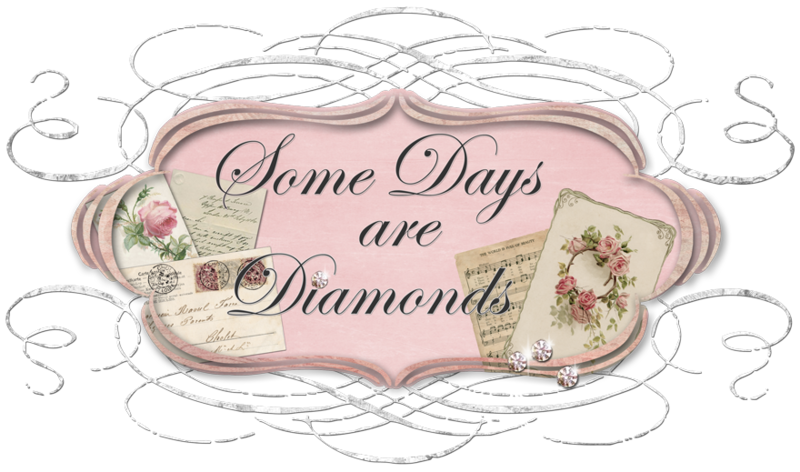 Some Days Are Diamonds: My Faith has been refreshed! Ok, I need to share something that happened to me today. Took my puppies to the groomer at 7:30 (about 20 mins away); hadn't showered, no make-up, yesterday's jeans and a sweatshirt, looked awful. Planned on getting home and jumping in the shower and getting ready for my day before my painters got there. Get off the freeway - road construction and it was a mess. Sign ahead says "right lane closed ahead." I'm in the left lane, no problem, people will be merging, no problem . . . easy, right? Big van in front of me, and I'm in my cute little red sports car, kinda low, and all of a sudden he merges right, and there are cones that are closing the left lane. Criminey! Now I have to get over, I hate butting in front of people, but I had no choice. Get up to the stop sign, there's all this construction traffic . . . yada yada. I finally am able to make my left turn. I SAW the motorcycle cop down the road. I saw him. But I wasn't doing anything wrong. (In fact, I had thought about pulling over and telling the construction crew they had the wrong sign posted! But ya know . . . it was the dirty hair, no make-up thing . . . just couldn't do it. At least I had my contacts in!) I had no more made my turn and the cop pulls me over. I did not for the life of me have a clue what I had done. He informs me I had made an illegal left turn. No sign was posted, yada yada, I was very polite and tried explaining what had happened with the whole wrong sign thing. I got out of the car to plead my case (remember what I LOOK like!) and we chatted and WATCHED about 12 other cars do what I had just done. I told him I'd never had a ticket before. (big joke with my kids, I am such a rule follower) he says i can go to traffic school and it'll never show. He didn't get it. I've never had a ticket before! "Sign on the line please Maam" (Geez I hate the word Maam!) and off he went to get all those other guys making left turns too. I was disheartened. I had no camera (forgot about my phone) plus I was mortified that I had been pulled over in front of all the construction crew - good grief! I knew I had to get home. Got home, showered, let the painters in, let the roofer in (that's another story from the girl whining about 80 degree weather!) Grab my camera and head back down there to take pictures. But of course, now it's all different. The sign now says left lane instead of right and there is a big "no left turn" sign on a cone in the crosswalk. Good grief how could I have missed it? Pouting, I go about my day. Called my friend to moan and groan and then tried to get back into a positive mood. "When life gives you lemons . . . " right? Come home, go out to the mailbox and notice a business card on the front door mat. From the police dept! Note on the back. "Please contact me about citation issued this morning". I called and he told me that he had gone back to the intersection and upon further review of the incident, the construction posting was all incorrect and to bring my copy of the ticket down and he would delete the citation. He could've blown me off. I had absolutely no proof. But I knew in my heart I had done nothing wrong. But he went the extra step to make it all right. What a guy!! So I am happy! Went and got my clean puppies, hubby taking me out to dinner. There is a rainbow out the kitchen window!!! WHOO HOOO! The Lord works in mysterious ways. Sometimes he knows it's just a little itty bitty thing that'll make you smile. Thank you for your email today. I'm am glad to see that this worked out for you and I'm not surprised because our LORD is faithful. okkk well it wouldnt let me post before. anyhow-there ya go-someone doing there job and doing it above and beyond. there are nice people in the wold! yay for you!! Just stopping over via your friend Connie. Welcome to the world of blogging! We have alot in common Karen. I have a 20 and a 23 year old and my 23 year old's name is Brandon too! I am a native Californian, living most of my life in So Cal also but we've lived the last 20 years in Kern County. I very much want to leave CA for a place with 4 seasons but it will be hard to leave the beautiful CA weather. We've been to Oregon and Washington a few times to check it out and in fact leave tomorrow for another trip to Oregon to check out one particular area. We just may be getting closer to a move!?! Again, welcome to the world of blogging. I've had a blog for almost one year now and thoroughly love it. I've made so many wonderful friends here. Feel free to stop by my site anytime and I'm sure I'll be stopping back by yours. Take care and have a great weekend. What a nice police officer! The fact he drove to your home and left a card...great guy! You should write a nice letter for his file at work...I am sure the only notes they get are not so nice ones. Love your scrap booking area too! What a fun room to create great memories in! Came here via Connie's blog..have a wonderful day and look forward to reading your blogs. Just got your message...I will add you to my side bar and keep up with you and the room..I was just working on a really fun scrap book craft a friend gave me yesterday...I am going to post it as soon as I get the supplies to remake it to show everyone. I need some motivation to get back at my books! Wow...justice really does prevail! What a nice cop!!! What a great story! Thank you for sharing it! !